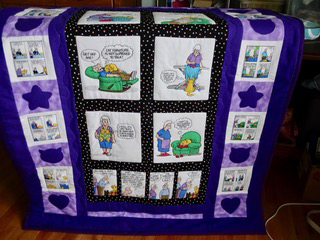 Mary Ann of Indiana was kind enough to share the quilt she made using the Pickles cartoon fabric (N40264). 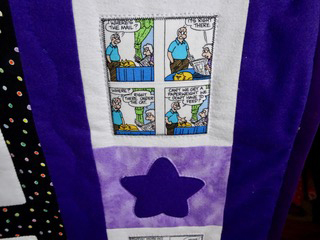 She cuts the small strip cartoons apart and puts them back together to form a block. 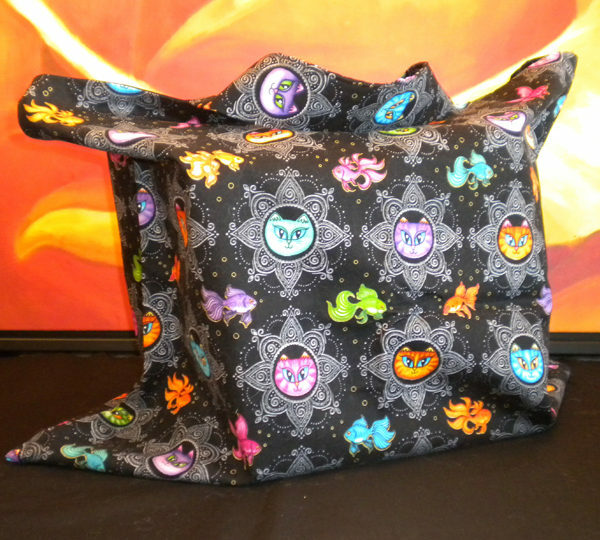 This was a lap quilt to be given to a caregiver of feral cats. I am continually amazed at the creativity of so many of my customers who think outside the box. Thank you Mary Ann for sharing your quilt so others can be inspired.